Richardson Housing Group invites you to tour the final two homes at Berry Hall Road in Bethlehem, Georgia, now in the final phases of construction! 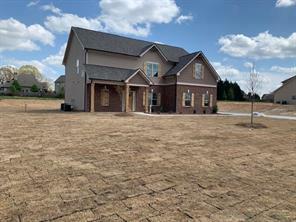 These exciting new construction opportunities are situated on generous, nearly one-acre lots with no subdivision, no home owner’s association, and no restrictive covenants. These homes are conveniently located inside Gwinnett County’s coveted Archer High School District and are close to shopping, dining, and recreation in Winder. Welcome to the Cumberland Plan, an open floorplan with great, modern finishes. This home is complete with a turret front elevation, cedar front columns, and a covered back porch perfect for enjoying the large backyard. 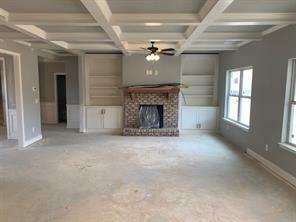 Inside, there are hardwood floors on the main level, site-finished hardwood stairs, a shiplap accent wall, and coffered ceilings in the separate dining room. The kitchen is gorgeous with white shaker cabinets, a gray accent island, a subway tile backsplash, and stainless-steel appliances. This home is packed with stylish finishes, including oil-rubbed bronze fixtures, a tiled master shower, and two-piece crown molding. Listed at $323,980, this five-bedroom, three-bath home is now ready for you to tour. 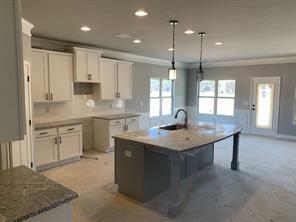 The St. Thomas Plan, this beautiful new home features an open-concept main level with hardwood floors, a shiplap accent wall in the dining room, and coffered ceilings in the great room. The fireplace is flanked by built-in bookshelves, and the kitchen features white shaker-style cabinets, a large island, subway tile backsplash, and stainless-steel appliances. With large secondary bedrooms and a spa-like master suite, this home has ample space for growing families. The traditional brick front exterior is accented by a cedar-columned front porch, and the home has a large, covered back porch, as well. Listed at just $314,255, this five-bedroom, three-bath home is a tremendous value for the area. 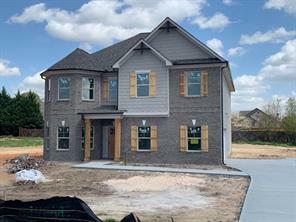 For all the details on these two final homes at Berry Hall Road, please call agents Wayne Kelley at 770-330-5978 or Phil Nardone at 678-794-0431. The real estate market in Bethlehem is hot, and we don’t want you to miss your chance to own one of these HOA-free homes!